BlogHome » Blog » Health Department Stuff! San Diego/California guidelines for mobile coffee setup Health Department regulations are not exactly easy to navigate. There are some very clear wordings and some that are distinctly murky at best. That being said- the folks working at San Diego's Department of Environmental Health are some incredibly stand-up people with great ethics and an honest desire to contribute to the public good. The primary difficulty in getting a project like this through Health Department inspections is with the warewashing sinks and water capacity requirements. I had originally planned and hoped to take advantage of a small caveat in the "Construction and Operational Guide For Mobile Food Facilities and Mobile Support Units" regarding the use of a 2 compartment sink in lieu of a 3 compartment sink for the Coffee Cycle's specific needs and operational deployment. The other major difficulty revolved around total freshwater and greywater tank volume requirements. 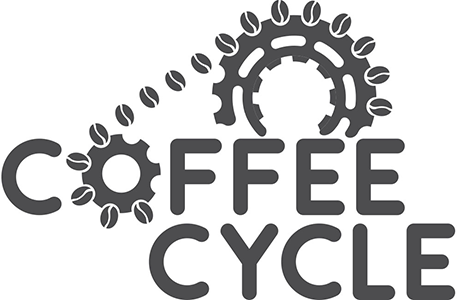 If the Coffee Cycle carries enough water for warewashing (15 gallons), enough water for handwashing (5 gallons), and enough greywater tank capacity to meet Health Code (50% more volume than the amount of water carried - so, 30 gallons), the total volume of containers for both freshwater and greywater is a whopping 50 gallons! That's a lot of volume. Imagine 10 buckets or water jugs of 5 gallons each. That is one heck of a lot of space taken up- where would there be room left for espresso machines, cups, or anything at all? Fortunately, San Diego's Health Department doesn't actually want to discourage a small business like mine- in fact, they want to help me succeed. After a good long talk, where I tried to wheedle and beg my way into bending some of those requirements to no avail, we figured out a way for the Coffee Cycle to include not only a full 3 compartment sink, but also to carry all 50 gallons necessary! I know, it sounds ridiculous/impossible. But we're gonna make it work. Just you wait and see.